Recital of today’s most famous pianist and conductor featuring pieces by Franz Schubert will be held as part of the Vip programme of the 63rd Dubrovnik Summer Festival, tonight on 18th August at 9.30 pm in the Rector’s Palace Atrium. The tickets for the concert, which is undoubtedly one of the most significant events in the history of the Festival, have been sold out. The greatest name in the world of classical music, the music director of the Milan La Scala Daniel Barenboim, whose virtuosity has delighted the audience for more than 50 years, is performing in Croatia for the first time. His star status is confirmed by the fact that he was one of the eight distinguished representatives who carried the Olympic flag at the Olympic Games in London. 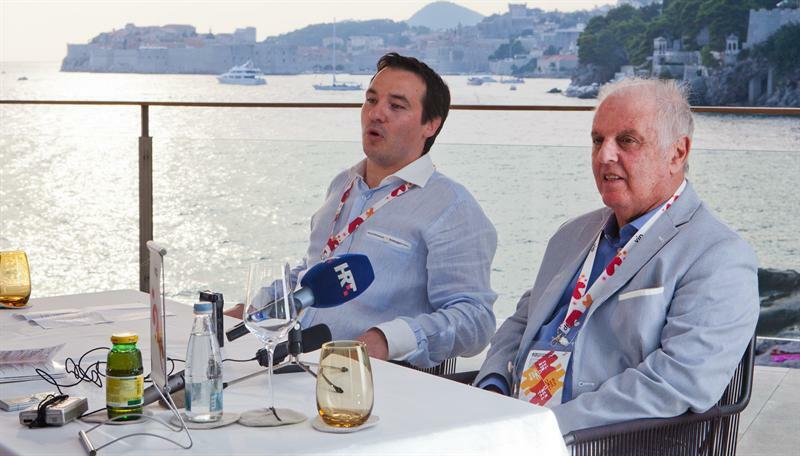 Barenboim has collaborated with all the greatest musicians in the world, such as his close friend Zubin Mehta who shared fond memories of performing at the Dubrovnik Summer Festival with him. He is also very active in charity, promoting dialogue between cultures of the Middle East. He is the winner of numerous awards and recognitions including Knight Commander of the Most Excellent Order of the British Empire, the French National Order of the Legion of Honour and seven Grammy Awards. After performing at the famous Salzburg Festival where he played pieces by Schubert, maestro Barenboim is coming to Dubrovnik with the same repertoire – a selection of four Impromptus which are true examples of Romantic music, simple and gracious movements full of freshness and lovely natural beauty; and the grandiose Sonata in A major, a technically impeccable and emotionally demanding piece in which Schubert expressed his deepest and most intimate thoughts.